SeaSugar harnesses latest technology to grow sales faster | Food NI - Our Food So Good! Sea Sugar’s Linda McGibbon has embraced the latest app technology to boost sales of her award-winning handmade sweets. The new app will make it easier for lovers of natural flavoured sweets to buy her range of products. Based in Larne, the artisan business, a Food NI member, is now developing sales in Britain and especially in the Republic of Ireland. 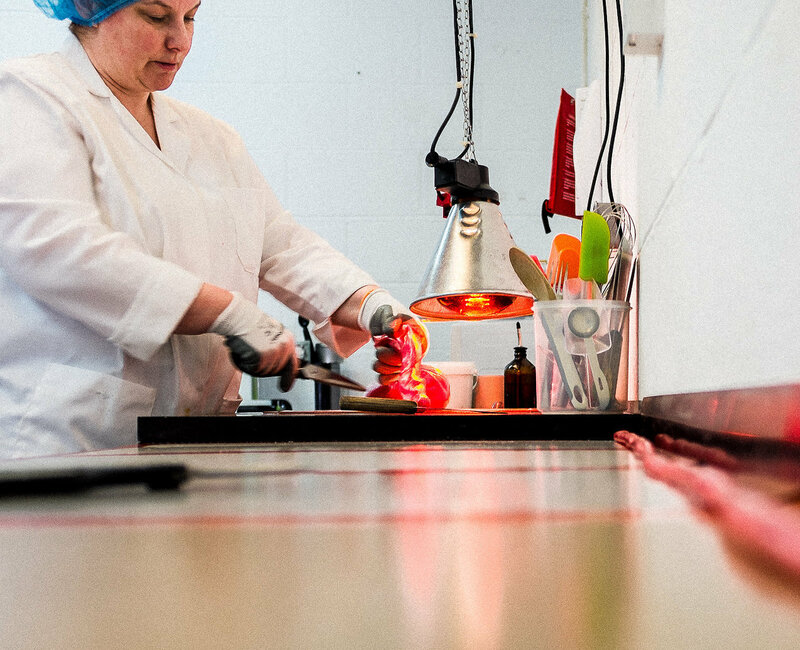 Linda stresses that her sweets are made completely by hand and that she knows the source and provenance of all the ingredients… and there aren’t that many. “I have total control from the moment sugar and glucose are added to the copper pan to when the final label is placed on the bag. All of my sweets are made in very small 3-4kg batches, thus ensuring a consistent high quality,” she explains. What also sets her confectionery apart is the exclusive use of natural flavours. “I use only 100 percent natural extracts, essences and colours, so the final product is bursting with natural flavours. The use of natural colourings is very important to me,” she adds. And she’s developed some highly original flavours such as lemon and elderflower, rhubarb and vanilla, and lime and mint, which have won UK Great Taste Awards. Her unique lemon and elderflower also won a Blas na hEireann, the Irish National Food awards. “My sweets are all about tangy, zingy flavours that people can really savour… slowly,” continues Linda. “I opted for unusual flavours because I wanted to create a gourmet product. I want consumers to take time to enjoy the strong flavours of the sweets. 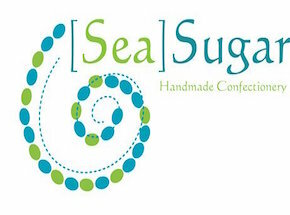 All are lovingly handmade by me.” The ethos of SeaSugar, Linda explains, is “to provide consumers with the best possible version of a small treat to be savoured, content in the knowledge that they are not eating chemicals”. Her business is thriving. “We’ve a good spread of delis and independent stores here and are also supplying shops and individual consumers in Britain and the Republic. Much of our business outside Northern Ireland comes via our website – hence the decision to make ordering the sweets much easier through an easily downloadable app. Linda produces a type of ‘hard candy’, as the Americans refer to these sweets, not traditional boiled treats but ‘pulled’ confectionery. “Pulled sweets are different from traditional boiled varieties in terms of their texture, appearance and taste,” she says. “Pulling the boiled sweet allows air to be incorporated and this crystallisation produces a clearer product. Pulled sweets have a different colour, a much crunchier texture and, I believe, a much richer flavour. “My pulled sweets are a natural product made from sugar, water, glucose, vinegar and natural flavourings,” Linda adds. It’s hardly surprising then that her small business is proving to be a sweet idea. Linda McGibbon of Sea Sugar Confectionery – pulling sweets for success in Northern Ireland & abroad.